Terpenoids are truly one of the most decadent types of plant-based extract you can get. Rich in fragrance, they are loved by cannabis enthusiasts and to marijuana smokers, it’s a no brainer to integrate terpenes into your everyday life. However, for those people who are new to the wonderful legal weed world it can be confusing to understand what terpenoids are. The reality of terpenes is that they are one legal cannabis product that is A-OK to purchase anywhere you go. You don’t need a marijuana card or license to buy terpenoids and you can gain so many benefits from them, too! If you also enjoy using the full cannabinoid profile of marijuana in your health regimen, you can add terpenoids to your favorite dispensary products making them more fragrant and rich. What did you say?! There are so many terpenoids compounds provided by the cannabis plant. But not all terpenes are created equal. Here are the top 6 major terpenes you may want to use in your cannabis protocols … like, yesterday. Limonene. This is a phyto-chemical found inside lemons, limes and other common citrus fruits. An ultra-fragrant terpene, limonene has a refreshing twist. Ideal for tossing into a jar of fresh flower, topping a joint or into any concentrate, an additional touch of limonene is known to known to reduce respiratory problems, boost brainpower and awaken the senses. This terpene is also ideal for topical cannabis ointment as it improves uptake of the phyto-compounds into your body. Alpha-Pinene. 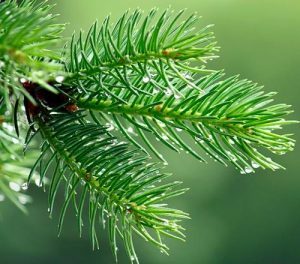 This terpene carries the undeniably recognizable smell also found in the needles of Christmas trees. It pairs well with hybrid strains and offers many benefits to the brain, lungs and immunity. 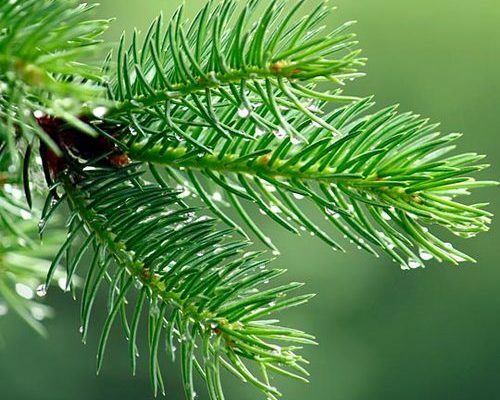 Add 2-3 drops of alpha-pinene terpene to any cannabis product to enhance the synergistic effects of CBD and THC – the most well-known cannabinoids in marijuana. Just imagine that you need a reason to add A-Pinene to your cannabis infused lifestyle and consider how fresh it could be. Beta-Myrcene. This organic compound is classified as a monoterpene. As a component in the essential oil of several plants including bay, ylang-ylang, wild thyme, parsley, cardamom and more this cannabis terpene is one you should know about … like, yesterday! Oftentimes beta-myrcene is a terpene that can be found in highly fragrant plants including lemongrass, basil and hops making it ultra-versatile in edibles and beverages. Linalool. 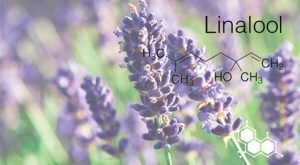 Found to be one of the most fresh, spicy and active terpenoids, you can combine linalool with any compound you like. Add a few drops of linalool onto any type of marijuana product for a boost of phyto-chemicals known to offer sedative effects to relax the mind and body, that is ideal for anxiety. Also found in lavender, mint and cinnamon, the aroma and flavor of linalool is one that pairs well with many different cannabis strains. Beta-Caryophyllene. The peppery flavor of this cannabis terpene is known to help reduce tummy aches as it offers potent anti-inflammatory abilities. Especially effective when used in combination with high-percentage THC strains, beta-caryophyllene also boosts your immune system. Drop in beta-caryophyllene to your next smoke or topical rub for a real pick-me-up. Terpenoids are the same type of plant compound that gives common kitchen herbs like rosemary, thyme and cilantro their fragrance and flavor. And while you may not know about the full flavor profiles of all cannabis terpenes – there is so much to experiment with! Not only in your smoke sessions but also in the kitchen, aromatherapy and topical skincare regimen terpenes enhance every strain more fully. Widening the diversity in the overall profile, each terpene you add will accentuate the strain in a different way. So, go ahead and try a few terpenes! The bottom line on terpenoids is that they are non-psychoactive, meaning that they do NOT get you high. In fact, they simply work to stimulate your body’s natural ability to maintain health, energy and a feeling of happiness. 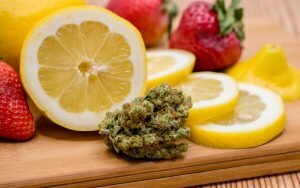 So, why not add more terpenes into your everyday cannabis infused lifestyle? Not only are terpenoids wonderfully fragrant, but they are also a way to increase the potency of your marijuana products. You may not realize how complex your cannabis flavor palate really is until you get to know these 5 most valued terpenoids. Found in other beloved herbs and spices including lavender, cilantro, basil, ginger and black pepper these phyto-chemicals are highly beneficial to your health and they (repeat) they DO NOT get you high. So, breathe it in – Ahhhhhh! That’s the sweet smell of cannabis terpenes and it’s totally legal to get some. Ethan B Russo. Taming THC: potential cannabis synergy and phytocannabinoid-terpenoid entourage effects. Br J Pharmacol. 2011 Aug; 163(7): 1344–1364.